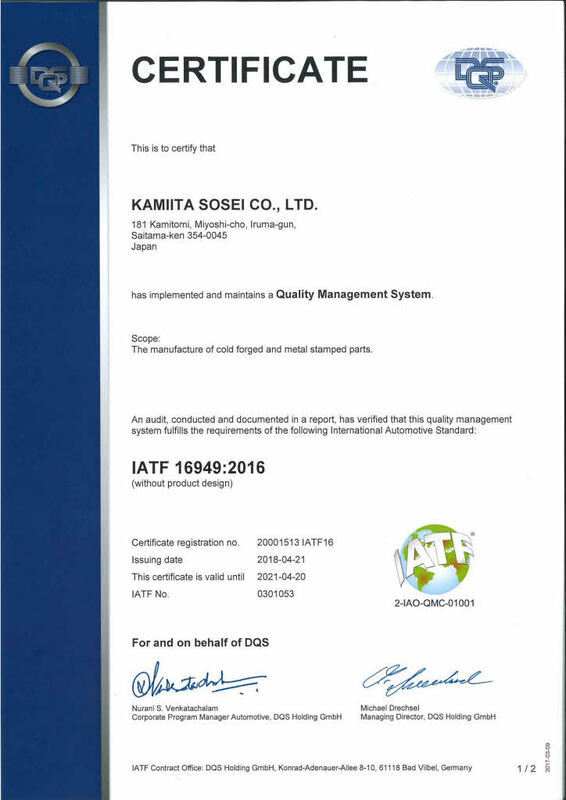 We have aggressively acquired a certification of IATF16949 and ISO9001 which is a global standard of quality management system and also have won our customer confidence. The achievement of compliance with such international standard certifications is not a goal but rather a process by which we will be greatly enhanced. We believe that adhering to these rules and maximizing the advantages they generate, will lead to improvement in the implementation of our own processes. 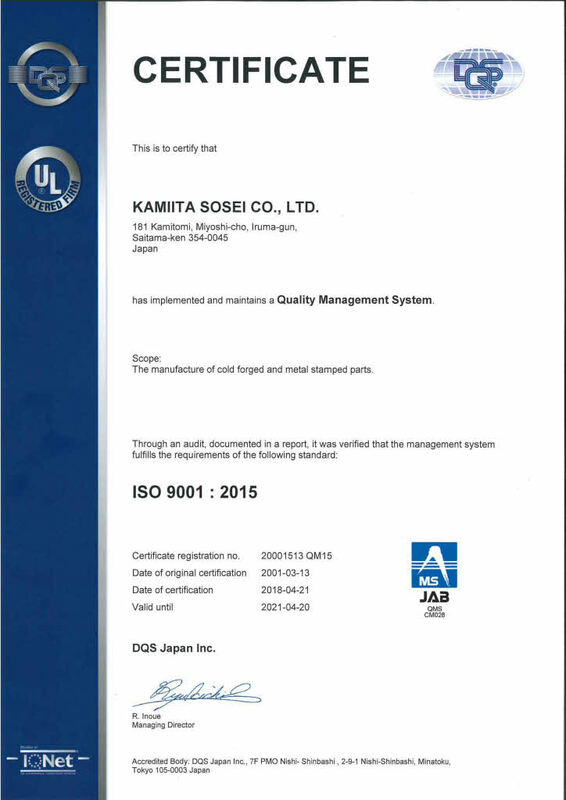 We will push forward with continuous improvement of quality management system through total development of quality objective and aim at providing “Product which could obtain satisfaction from our customers”. 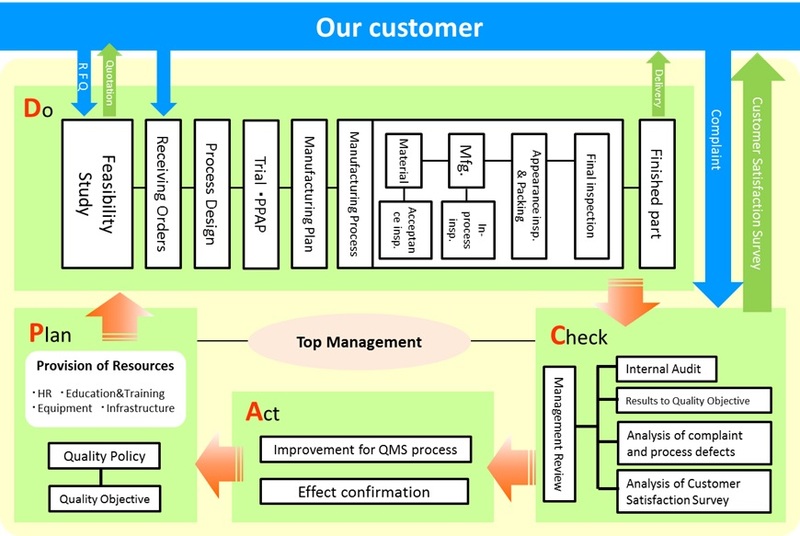 A consistent quality management system greatly contributes to manufacture high-quality products.